MedX is a comprehensive rehabilitation program that incorporates the sports medicine approach to the treatment of chronic neck and back pain. The MedX machines are specially designed to provide the most effective means of isolating, safely testing, and directly strengthening the muscles in the low back and neck. The MedX program also incorporates general strength and fitness building activities that are supervised by a licensed physical therapist to ensure the patient's safety and progress. 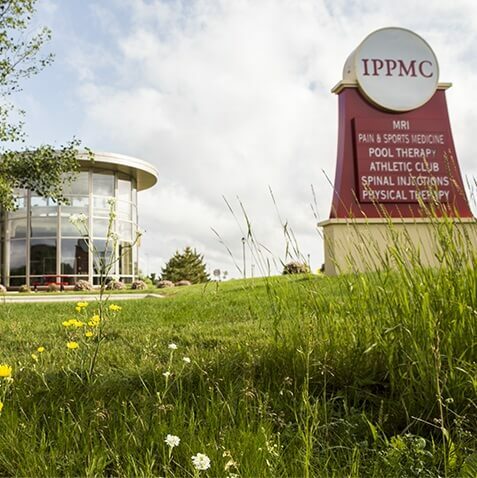 The primary goals of this program are to improve range of motion, improve muscle strength, decrease pain, and return the patient to normal function. MedX is a tool that isolates movement and provides a safe and effective environment in which to apply basic principles of progression and overload to combat and reverse the deconditioning effects of chronic low back pain. Providing a secure isolated environment reduces patients anxiety and apprehension during the movement and musculature re-activation phase of a rehabilitation program. This type of environment helps the patient develop and re-establish confidence in using their low back musculature. The human body adapts to disuse. If an area of the body is painful the neuromuscular system will learn new patterns of contraction to produce movement, thus alienating the injured muscle. This injured muscle then further atrophies and weakens, predisposing an individual to greater risk and severity or re-injury. Effective rehabilitation must prevent alienation, or re-educate the neuromuscular system properly. MedX Therapy stabilizes and strengthens the entire spinal column by training specific movements on specialized exercise machines. The exercise machines in the MedX-Center utilize the latest in exercise technology to reduce unnecessary friction and strain on joints and muscles. 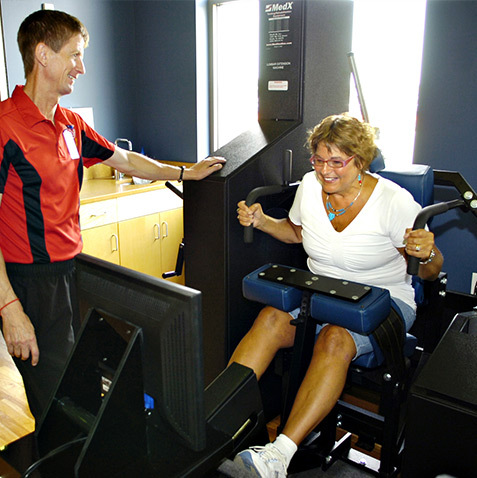 MedX exercise machines are precisely adjusted to each individual patient during the first therapy session. The training begins after determining the strength of the back muscles, followed by one-on-one consultation for the length of training. The back muscles are gradually strengthened, resulting in long-term success of the therapy. Rehabilitation following spinal column procedures. Prevention of spinal column problems caused by existing spinal anomalies. In combination with conservation treatment of spinal column instability, vertebral joint or disk fixation. In combination with conservative treatment of osteoporosis. Appropriate for cervical, thoracic and lumbar spine.